Kenneth McClane, the W.E.B. Du Bois Professor of Literature Emeritus and former Stephen H. Weiss Presidential Fellow at Cornell University, taught English, African American literature, and Creative Writing for 34 years. He is the author of eight poetry collections: Running Before the Wind ; Out Beyond the Bay ; Moons and Low Times ; At Winter's End ; To Hear the River ; A Tree Beyond Telling: Poems Selected and New ; These Halves Are Whole ; and Take Five: Collected Poems , 1971-1986 . In 1992 he published a volume of personal essays, Walls: Essays 1985-1990 . A new essay collection, Color: Essays on Race, Family, and History appeared in 2009 from the University of Notre Dame Press. The University of Notre Dame Press reprinted Walls , with a new introduction, in 2010. Professor McClane's poetry and essays have appeared in many anthologies, including The Story and Its Writer ; The Best African American Essays ; The Art of the Essay ; Bearing Witness: Selections from African-American Autobiography in the Twentieth Century ; The Anatomy of Memory ; Sturdy Black Bridges: Visions of Black Woman in Literature ; The Jazz Poetry Anthology ; The New Cavalcade ; You've Got to Read This ; and Trouble the Water: 250 Years of African-American Poetry . His essay "Walls” was selected for The Best American Essays 1988 and The Best American Essays (college edition) volumes. McClane’s introduction to James Baldwin's novella, "Sonny's Blues,” was broadcast on PBS in its GED Connection Series and he appears in a recent BBC documentary on Vladimir Nabokov. 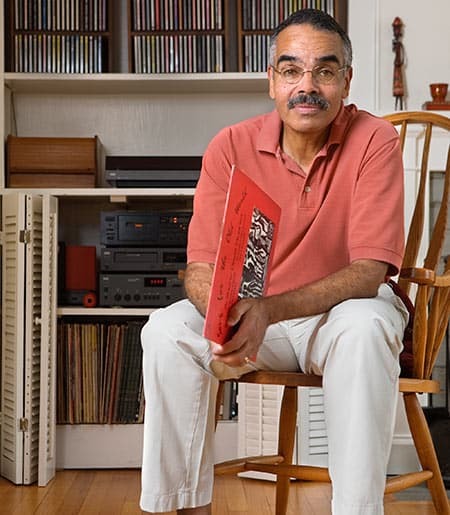 In 2002 he received the Distinguished Prose Award from the Antioch Review for his essays published in the magazine since 1985; in 2010, his collection Color, Essays on Race, Family, and History was awarded the Gold Medal for the best book of essays published in 2009 by Foreword Reviews Magazine. In 2006 he was invited to lecture at the University of Bahrain, and he has read his poems and essays at Yale University, Duke University, Wellesley College, Bates College, Spellman College, the University of Arizona's Poetry Center, and the Library of Congress, to name but a few of his over 100 pubic readings. Mr. McClane has been a visiting professor at Colby College; Williams College, where he was a Henry Luce Visiting Professor; Washington University (St. Louis); and a Dr. Martin Luther King Distinguished Professor at the University of Michigan and at Wayne State University. He has served on the Board of Trustees of Adelphi University, and on the Board of Directors of the Tompkins County Library Foundation, the Constance Saltonstall Foundation for the Arts, the New York Council for the Humanities, and the Tompkins County Community Foundation, where he was a Founding Board Member.